I was surprised that people were surprised and distressed by the dropping numbers. Endie on twitter used it as an excuse to claim CPP "squandered" the new subscriptions brought to them by the big battles of Asakai and BR. Declarations of War podcast has a segment on the recent podcast talking about if EVE is dying. Look at the end of this graph; look familiar? The fact of the matter is that the hump from Retribution launch to a year later was an unusually optimistic time in EVE in the past four years and after that has been a returned to more historical level (albeit a bit lower). That's not to say that the numbers are not concerning, just not surprising to anyone paying attention to the game overall. We've been hovering above and below the 30K concurrent user mark for years. So we're in equilibrium, but for how long and what is going to happen next? Well, Rubicon and its future releases as speculated and advertised are not going to expand the potential player pool. 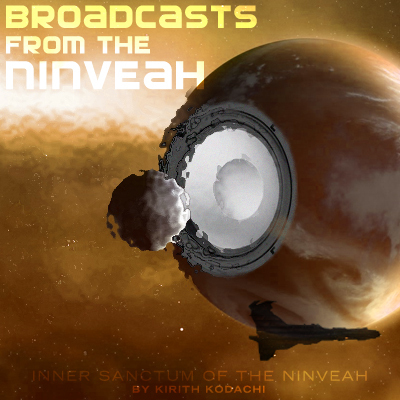 They are cool, and have great possibilities, but still appeal to the same sensibilities that EVE already covers. There is new content in the same style and vein of what has come before. At best it keeps existing players playing and perhaps attracts a few ex-players back, but there is no new groups who would suddenly be drawn in so the pool remains mostly static. The Dark RoadWith Rubicon and its following releases not really changing the landscape of the game, the relative stagnancy of null sec and wormhole space will start to catch up with CCP soon. If not this year, then the next. As the rate of exiting players increases ever so slightly, the plateau will dip into decline. CCP may try some big things to reverse that trend which may succeed in reversing it, but more than likely it will precipitate a Star Wars NGE event and disenfranchise a large portion of the playerbase, accelerating the decline into full-blown disaster. If this happens, CCP will be forced to close the doors on the EVE servers as the cost of maintaining the massive cluster will outweigh the income from subscriptions. Unlike something like Ultima Online, it would be very difficult for CCP to scale back operations and milk profits out a shrinking playerbase. On the other hand, Rubicon and its sister releases may finally shake things up enough that some vibrancy and excitement return to the game. 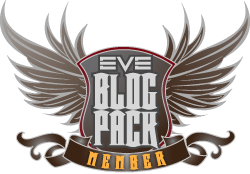 The pool of potential EVE players won't grow but the equilibrium will be maintained such that CCP can continue to operate the game and invest in its growth. 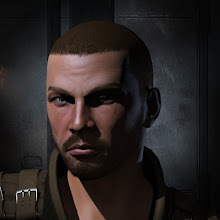 Beyond that, it depends if CCP can find a way to create new interests in this game that expand the potential player base beyond its current borders. We are sitting at that point where we go one way or another and the playerbase is holding its collective breath in a wait and see mode. The promise of that new game play and space and new sov mechanics hangs over the game's future like the sword of Damocles; the promise of a new powerful future balanced by the possibility of certain doom. And players are waiting to see if the sword falls. The longer it takes for CCP to lay out the details of its future plans and to start to deliver on them in meaningful and fun ways, the greater the chance that they are going to miss the mark and the tipping point will fall into the abyss of failure. However delivering poorly thought out and/or implemented features runs the risk of death by the sword as well, so its a very damned if you do and damned if you don't scenario. The Industy update coming on July 22nd is not going to reverse any numbers. The end of summer in a couple months might help, but the future rests on making real progress in gameplay features that a lot of people can use (unlike the Industry changes that only will really impact in a large way a fraction of players). More new combat ships or pretty graphics will not help the numbers increase; we're beyond that point now. We need substance, we need information, we need to know what we are waiting for. And we need to see it soon. Concurrent user graph is useless. CCP needs subscribers, not logged in players. Someone who plays 10 hours a week increases concurrent user numbers by 1/16.8. An AFK cloaker increases it by 1, yet they pay the same subscription. Concurrent users are a better indicator of the health of the game as higher numbers represent more opportunities for interaction. 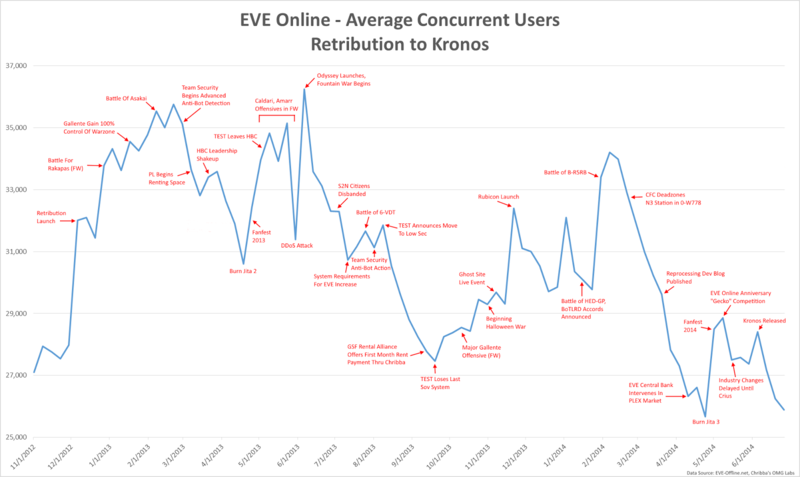 While subscriptions are good for CCP's bottom line, they won't stick around if there are fewer player to player interactions each time they log in. Logged-in players represent potential content for other logged-in players, moreso than even subscriptions. That's why it's a perfectly valid metric of the game's health. Logged in players represent AFK cloakers, multibox mining fleets, people AFK in Jita, spambots, ratting bots who safe up instantly when someone enters local. Good luck playing with them! At this very moment I add 6 to the concurrent login count. 1 is a 400K EHP empty Orca running mining boosts, 5 are in Retrievers or Ventures with empty pods running mining missions in highsec (they must be scanned down and ganker must slowboat to the ship, so can't have -5 sec status or facpo kills them before they get into falloff). Tell me how much I bring to the health of the game. By the way, 200-250M/hour for looking at my computer ever 15 mins. EVE needs players, not optimalized, completely safe farms and AFK cloakers. I agree that more active and involved players is better than AFK and multiboxed characters, but your original point that paying subscriptions is a better measure of the game's health than Concurrent logged in players is what I don't concur with. I think both measures have value for different reasons. I would argue, in fact, that it may be that PCU count going down is because of active and involved players are logging in less while the fraction that represents AFK / multiboxed characters is less likely to go down as much. If someone wants to kill your Ventures enough, they'll warp to zero on your mission in a long-range arty Tornado and kill four of them with paired guns, one volley per. "Profit" doesn't even enter into the ganker's concerns these days. A lot of gankers would do it for the amusement of being able to brag "I ganked Gevlon." As long as you're logged in, you represent potential content. A logged-in account does not. *A logged-OFF account does not. They are all in different missions. But the point is that everyone else run their farms on nameless alts (as he is a badass PvP-er, he has nothing to do with highsec carebearism), so would anyone shoot a nameless Venture? Because evidence suggests popping Ventures makes new players cry. CCP is doing too few, too late. The current plan is to fix corporation roles after summer, then will come the fixing of starbases, then fixing Sovereignty, then (eventually) will deploy the new space... maybe in summer 2015 if they work real fast and we're lucky? And yet there is a rotten stillborn smell coming from that new space, due to the persistent suspicion that it will only be accessible from nullsec. And if that was the case... Game Over, CCP. We're below the 30k average right now, well below. And it's likely to go lower since despite player belief the lowest period of PCU activity is actually October or so. I'll put it to you this way: average weekend pilots in Jita during busy periods has been sitting around 1800. Last year, a lot of tournament teams avoided basing in Jita because they were concerned their pilots wouldn't be able to log in for matches (due to the 2200 max). This year that just ain't gonna be a problem. Probably this summer will end below the PCU of summer of rage, just without rage. I did a Snapcount run plus an analysis run, out of curiosity. Since the end of the Halloween War, PCU count is down 28%. I'm not denying that PCU count is down. In fact it does feel abnormally low, but I don't think its shockingly low in the historical context over several years, compared to "since retribution". It really does feel like a "wait and see" by the playerbase at large. Hate to say it, but you'd be dead wrong about that. Last time PCU count was this low, it was associated with a 20% CCP layoff. Time before that was 2008 when the game was on its way UP. Well, this time CCP conveniently laid off 22% of its staff before the PCU went down. CCP squandered an opportunity. the statisical evidence would be that following Asakai would be a significant influx of new blood, with a co-responding and as near significant bleeding of same new blood. What was raised at Fanfest - players burn out when not able to connect to the community. a emergency plan should have been put in place. (same as Disaster Recovery Plan). The plan would be, in the event of a "significant event" that Eve Uni and Agony Unleased receive control of new players and the tutorial systems. Introduce the new player into the wider experience of human interaction at day one. (I have no afilliation with either group). and that list could certainly be open to other well known and respecting player groups interested in the term term survival of the game. So what happen B-R5RB came and went; with a predictable result. A major business opportunity lost and I dare say unlikely to be repeated anytime soon. As an Eve pilot since 2006 I'm excited about the prospects of New Eden being a little less populated. Used to be that space felt like space rather than a crowded neighborhood. And how much money are you willing to pay for the privilege so CCP can stay in business? Giving more information about new space is in itself, going to cause a drop in subscribers. Right now, people's imaginations are afire with what the new tracts of stars represent. But as soon as concrete details are given, the majority of people will see that it didn't match up to their expectations, and most likely leave. By not releasing info, they can maintain the dream of a perfect space that fits everyone. This keeps subs up, with people remaining quite hopeful. Of course, the longer you keep quiet about what you've got, it becomes a bit more apparent that you don't have much. Thinking practically... how many people are actually going to be enthusiastic about whatever new features are going to be implemented? They already have 6 areas of space for people to play around in (Hi-, FW low-, normal low-, NPC null- and Sov null-sec and wormholes). That's already 6 areas to play in, with a variety of play styles within each one. How much benefit is a 7th going to give you? Particularly when it's going to take years to get there, and re-inventing the universe to get it. I could go on, as could most players. You're right. We need to have some more substance.